Laura Heery is a co-founder of Brookwood Group, Inc. She is based in Atlanta, Miami, and New York, and is the owner and Managing Principal of Brookwood Design Group, a separate Brookwood affiliate. In 2010, Laura co-chaired the 18th annual Congress for the New Urbanism, organized with assistance from the Centers for Disease Control, focused on economic, energy, health, and resilient community outcomes in architecture, master planning and urban design. Laura served as Brookwood's Principal-in-Charge for the Turner/Time Warner Campus Master Plan in Midtown Atlanta and the Peachtree Corridor redesign from urban highway to livable boulevard. She also was Brookwood's Design Architect for the Georgia Institute of Technology Campus in Savannah. Laura has lead the concept phase for international projects, such as for The Coca-Cola Company in Brussels for their European facilities; and a project permitted for Disneyland in Paris. 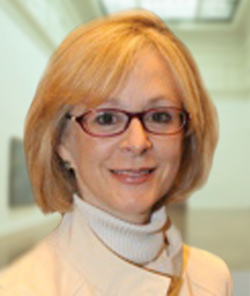 Her pre-development design concept work includes Glenwood Park for Green Street/Jamestown Properties; the Mall of Georgia and district guidelines; Centennial Hill for Hines Interests; West Paces Village with Lord, Aeck, Sargent. After receiving a Masters of Architecture from Yale University, Laura worked for I.M.Pei and Partners, followed by Heery International. From 1984 to 1988 she worked as a designer with John Burgee Architects with Philip Johnson.